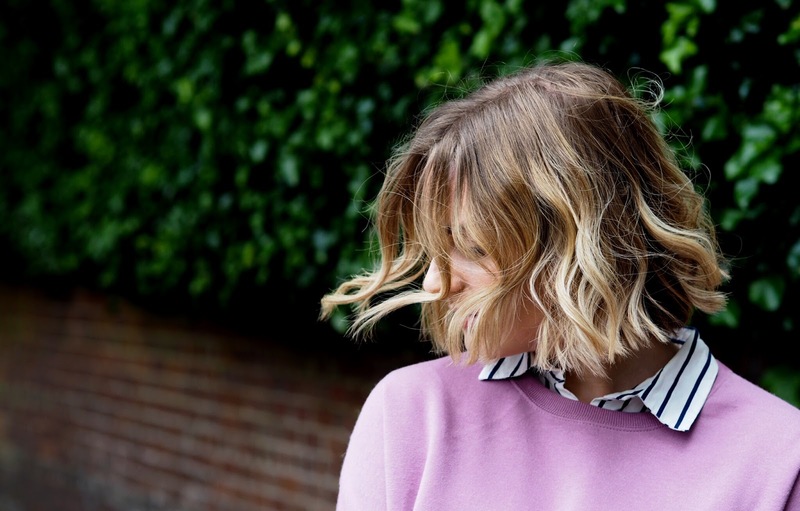 You may have spotted that I’ve been adding a lot more colour back in to my wardrobe recently (which is mainly due to trying to stick to a simple colour palette/capsule wardrobe last winter, leaving me craving some bold brights this Spring! 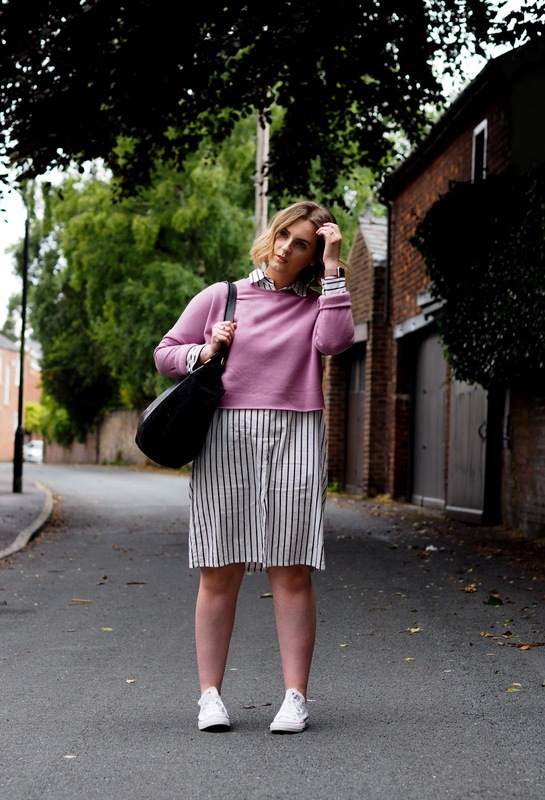 See my year in outfits here) and one of my absolute favourite shades right now is pink! I can’t get enough of it – pastel shades, bold fuchsias or candy pinks – give me them all! That’s why, when I spotted this £5 sweatshirt in Primark, it just had to come home with me! I love the violet pink shade which is completely different to anything else I own. Cropped, super soft, oversized and the prettiest hue, its got to be one of the comfiest tops I own. 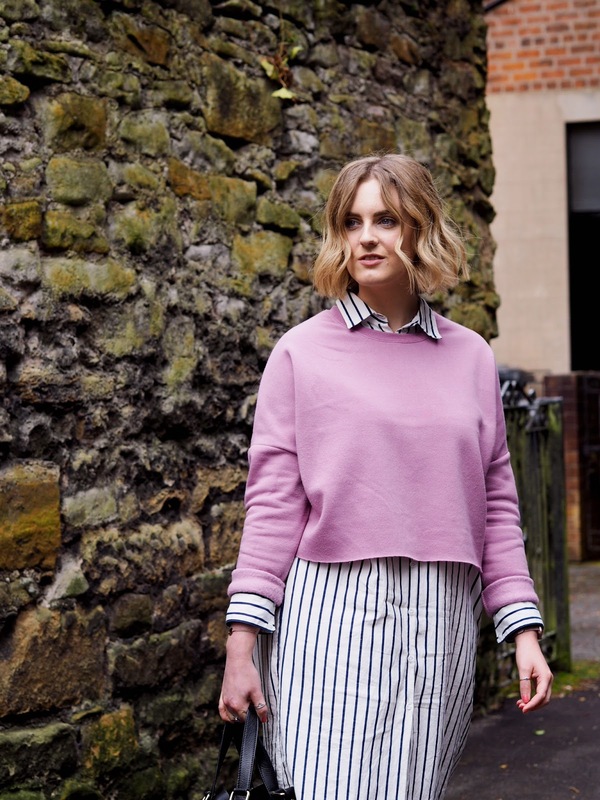 Its typically something I’d throw on at the weekend with boyfriend jeans or jersey culottes or even over my gym gear, so I wanted to try and style it a little differently and see if it would work in more of a smart casual look. 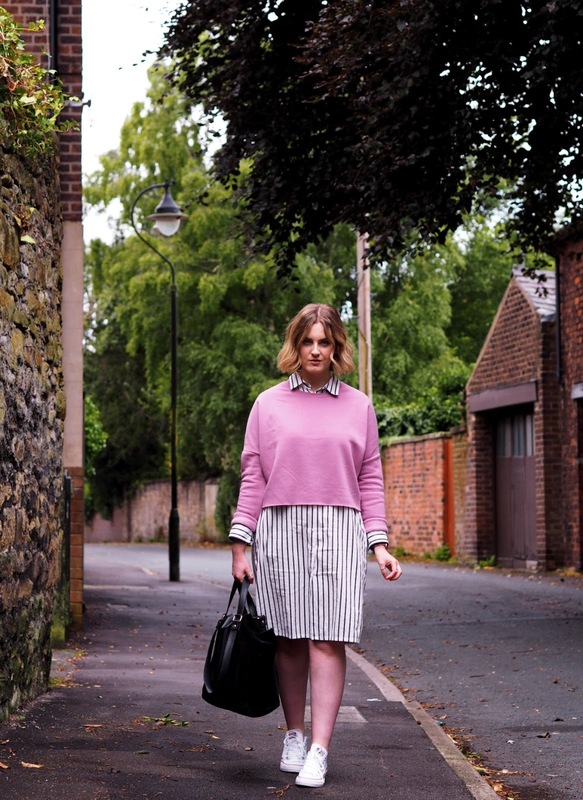 I dug out one of my all time favourite dresses, a midi- length shirt dress from La Redoute, which you might remember from this styling post from way back! My wardrobe changes SO much, so to say that this is still part of my collection over two years down the line says a lot! I was going to go for a pair of black heeled ankle boots to dress things up a bit, but decided to choose my trusty Converse and I’m so glad I did – there was a lot of walking involved in my day! I love how this outfit turned out and not only has it made me want to buy more of these cropped sweats (I’ve already spied a dusky blue version!) but its also reminded me how just how much I love this dress. I definitely need to wear it more often! Have you got any items in your wardrobe that you just can’t get rid of?